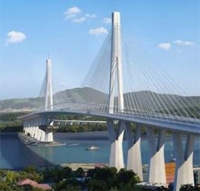 Bids are being invited for architectural lighting along the 8.7km of the Padma Multipurpose Bridge and its approach viaducts. 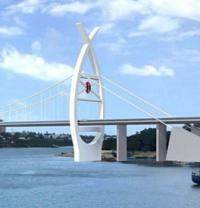 Three international bidders have been shortlisted for the 2nd Nyali Bridge in Kenya. 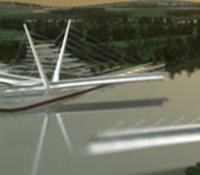 Singapore’s Land Transport Authority has terminated the construction contract for a viaduct where a fatal accident occurred. 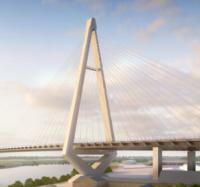 Panama Cuarto Puente wins the tender for the design and construction of the fourth bridge over the Panama Canal. 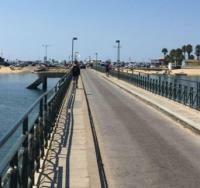 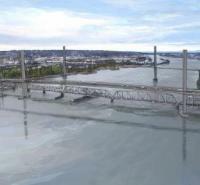 Three teams have been invited to submit proposals for a US$125 million bridge in Louisiana, USA. 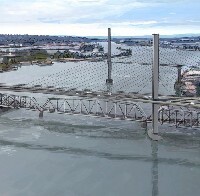 The tender process is now under way for construction of the US$120m Upper Orwell Crossings project in Ipswich, England. 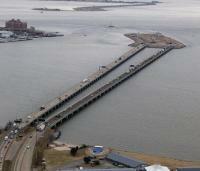 Three teams have been shortlisted to design and construct the US$3.3 billion expansion of the Hampton Roads Bridge-Tunnel in the US state of Virginia. 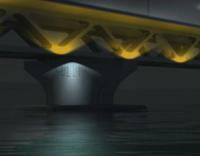 Three teams have been shortlisted from the four competing to build the Mobile River Bridge in Alabama, USA. 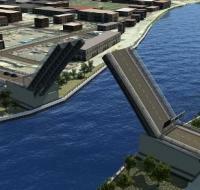 The winning bidder has been named in the tender process for the Pelješac Bridge in Croatia.